Rewards Canada: Redemption Stories: 72,000 Reward Point stay at a New York City Best Western Hotel for only 30,000 Points! 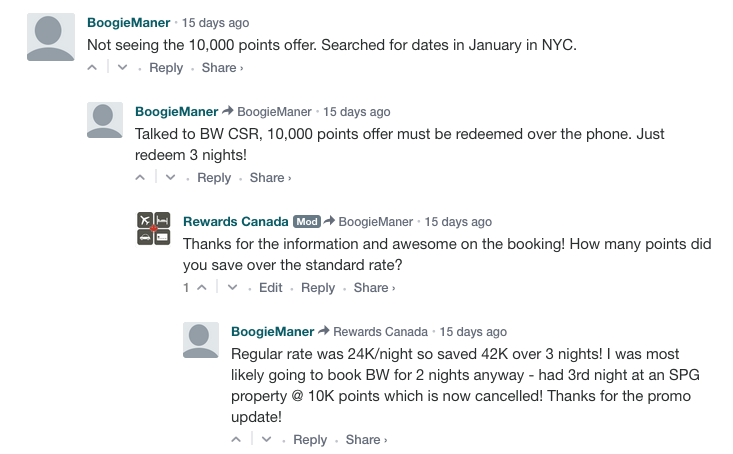 Redemption Stories: 72,000 Reward Point stay at a New York City Best Western Hotel for only 30,000 Points! Going back a couple of weeks ago we brought you the details of Best Western's Fall promotion and it wasn't met with huge fanfare as it's a simple double points offer. However the promotion also includes a redemption portion that is being met with lots of fanfare. That offer is that you can redeem 10,000 points for a reward night at any Best Western Hotel in North America. Of course you wouldn't want to redeem that amount for a hotel that's only 8,000 points but with many being in the 16,000 to 24,000 point range per night you can see why this becomes a great offer.